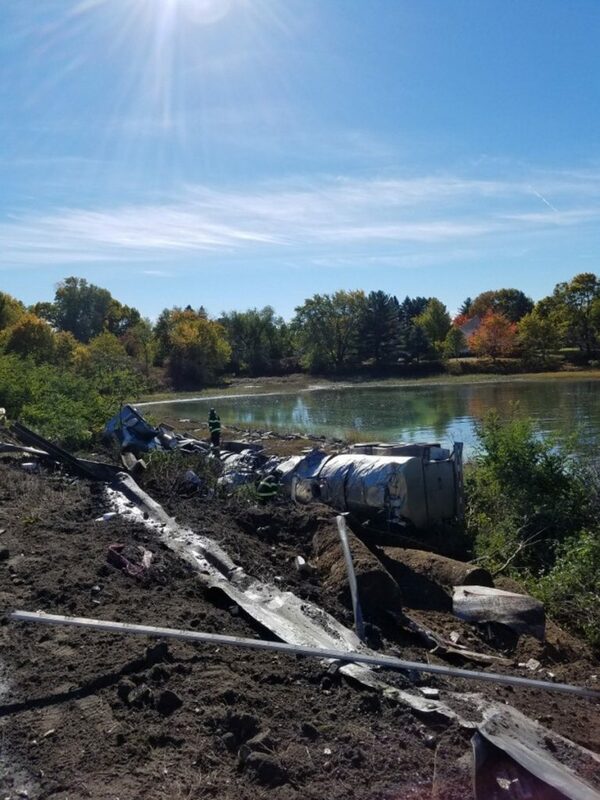 The truck, which was hauling milk, overturned and flipped over a guardrail near the Piscataqua River, Maine State Police say. 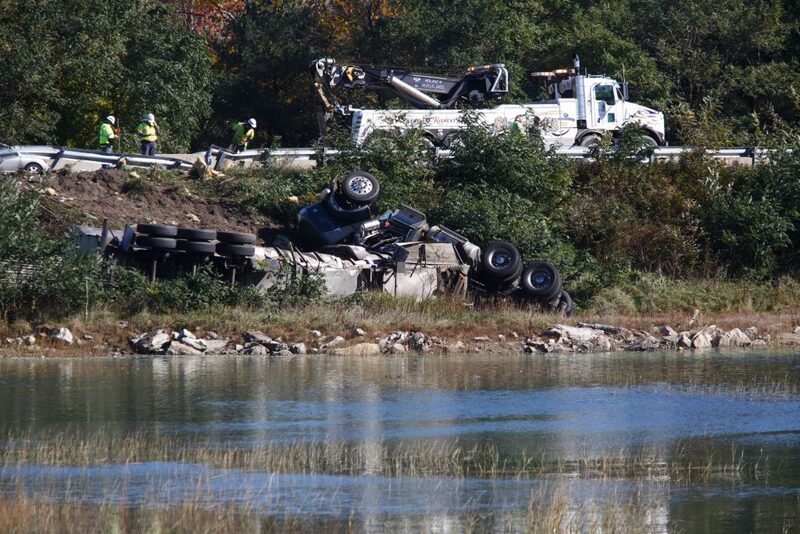 Police and rescue workers shut down southbound lanes of Interstate 295 for hours to clear a tractor-trailer truck filled with milk that rolled over a guardrail and down an embankment Friday morning in Portland, Maine State Police said. State police said the road would remain closed to southbound traffic through at least the early evening as crews worked to clean up the fuel and milk that was leaking from the wreckage. Both fluids had to be pumped out of the tanker before the wreckage could be removed. As of 5 p.m., crews had yet to start pumping the milk out of the tanker, police said. The crash occurred just north of the S-turns on I-295 and along the banks of the Piscataqua River, according to state police spokesman Stephen McCausland. All southbound traffic was being diverted onto the Falmouth Spur to the Maine Turnpike and to other roads in Falmouth. Northbound traffic was not affected, state police said. At 8:51 p.m., traffic was no longer being diverted to the spur, according to a tweet from the Maine Turnpike Authority. The truck driver was identified as Herbert Staples of Belfast, who was taken to a Portland hospital but wasn’t seriously injured in the crash, authorities said. The truck is owned by M.A. Haskell and Son of South China. The truck toppled a large highway sign and went down an embankment, nearly landing in a water-filled marsh. The truck appeared to be destroyed in the crash, with its wheels upturned and the long body twisted and mangled by the impact. Firefighters and first responders were at the scene, along with two large wreckers.